WITSU Living in a box. was a new fundraising idea this year to help raise money for RAG week. Each of the WITSU Officers spent 24 hours each in a box. 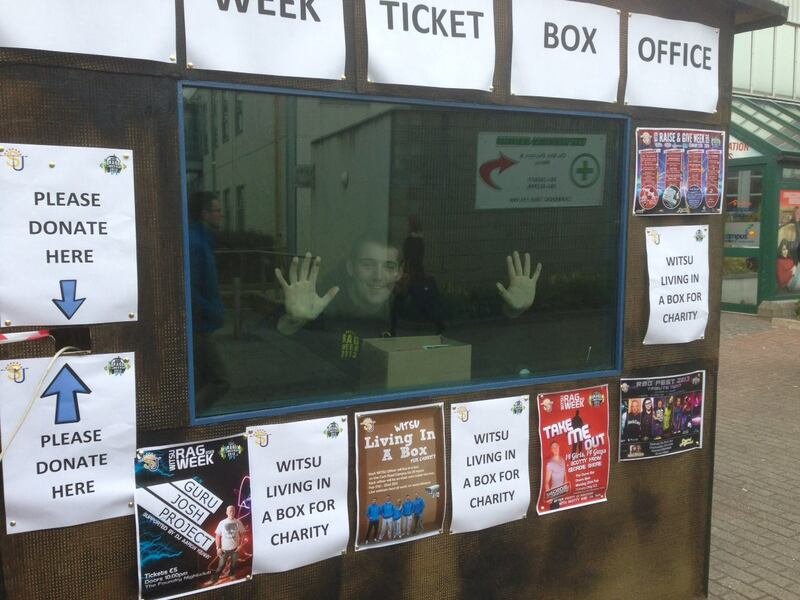 The box was located outside the Students Union on the Cork Road campus from this Sunday 17th to Friday 22nd. *Save Ryan and Ethan Appeal. *Friends of Assasi House Waterford. *Crumlin Children’s Medical Research Foundation. WIT Students’ Union took part in MOVEMBER. For the month of November Brian, Stephen, Craig, David, William, Paddy, a number of Class Reps and and students grew a ‘Tash’ to raise some much needed funds for charity.